Only 2 books this month? Oh dear. I don’t read a lot of mystery – at least I haven’t read as much for many years. However, I saw this one through a literary agent blog and the opening chapter drew me in. It takes place in Athens, 461 B.C. and chronicles a young man, Nicolaos, and his investigation of a murder of a high-ranking politician. The first chapter was highly engaging, the next two or three spent too much time trying to include Greek culture and history within them, but then the rest of the story panned out nicely with a much better integration of history, culture, and plot. 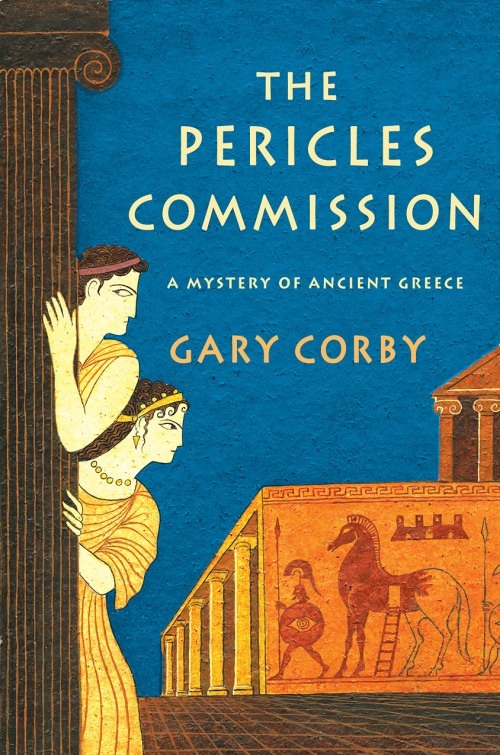 Corby weaves in real historical figures with his own fictional ones, including Nicolaos’ younger brother, Socrates – and that’s kind of fun. I enjoyed the unique setting juxtaposed with a modern writing style and might very well read Corby’s second novel (The Ionia Sanction) in the series, currently sitting in my to-be-read stack. John Irving is one of my favorite literary fiction authors even though I haven’t read all of his books. The World According to Garp was Irving’s hallmark work for a long time – and might still be – so I decided it was high time I returned to his work. The story starts slowly with an interesting character – Garp’s mother – and she is significant to the story, but her part feels a bit bogged down by a lot of backstory and waiting for the “real” story to start. It is at this point that at least two people asked me (as if they didn’t know me at all) why I was still reading it. First, unless it is AWFUL, I always finish the book. One person has known me my entire life, and the other I’ve lived with for almost 19 years. Dudes. C’mon. Haha! But really, the second and primary reason is that I knew this book to be one of Irving’s most highly acclaimed; I had faith. So yes, it may have taken about 100 pages to really feel like I was fully engaged and invested, but by then I really was. The story tracks Garp and his relationships as he navigates life as a writer. The story and characters are rich with humor – a lot of it dark – and complexity. Garp may be the writer, but it is his mother who first publishes an autobiography that unintentionally sparks a feminist movement. In many ways both directly and indirectly, this novel addresses the many layers of gender norms. Additionally, it contains elements that are particularly Irving-esque: unconventional tragedy with fully invested treatment of the aftermath and events/details that by themselves play well into story, but then later come together to construct something bigger to move the plot forward. A final note: what I like about Irving is that he can convey a larger social and/or political message in a much stronger, integrated manner than Jonathan Franzen, who I would consider to be a recent contemporary of Irving. I appreciated this reminder of authors who can excel in this area. And that is my month, such as it was. Currently I am reading An Abundance of Katherines, by John Green. This entry was posted in Reading and tagged book blogging, books, Gary Corby, J. Marie Rundquist, John Irving, reading, Recent Reads and Recs. Bookmark the permalink. 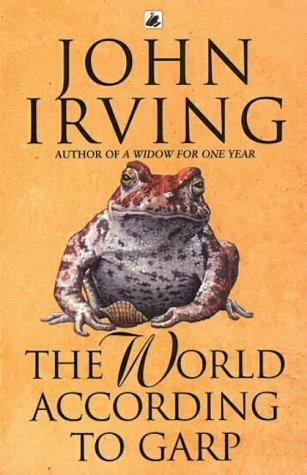 I have never read anything by John Irving. *Hangs head in shame* If you were going to recommend one of his works to a newbie, which would you choose? I’ll get to it as soon as I finish all 500 thousand pages of the “Game of Thrones” series. I’ve read “An Abundance of Katherines” and I liked it well enough. Enjoy! Not everyone would agree with me – but my favorite of Irving’s is A Prayer for Owen Meaney, but I think I also remember liking The Cider House Rules.